Leaves opposite, rarely whorled, sessile or shortly petiolate, entire (very rarely glandular-ciliate), with translucent glandular dots or linear canals and frequently with dark submarginal glandular dots. 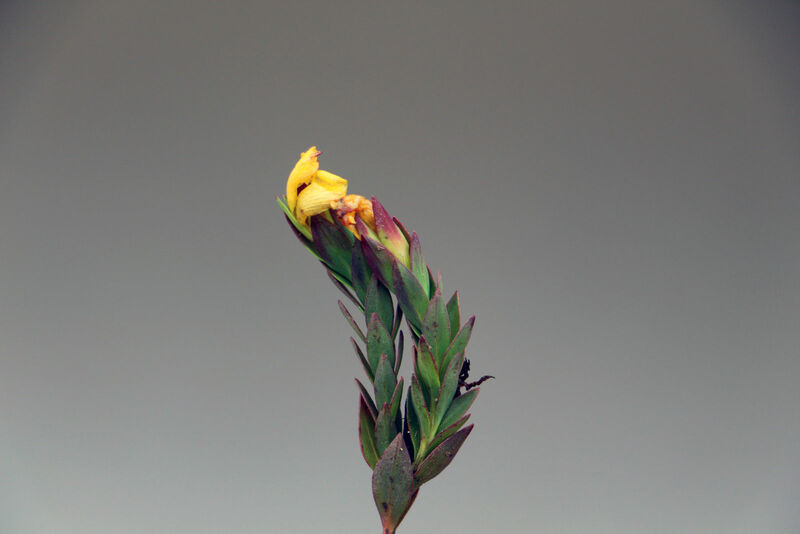 Flowers terminal, solitary or in a cymose inflorescence, sometimes forming a corymb or panicle, bisexual. Petals usually 5, usually yellow, often red-tinged especially in bud, asymmetrical, often with dark or translucent glandular dots or streaks, persistent after flowering (in tropical African species), swollen nectariferous tissue usually absent. Androecium usually of 5 fascicles of stamens, single or merged together in various ways, few to many stamens in each fascicle, with the filaments free for most of their length; fasciclodes nearly always absent. Ovary with (2) 3–5 axile or parietal placentas; styles (2) 3–5, free or variously united. Fruit a septicidal capsule, rarely indehiscent. Seeds minute, cylindric to ovoid, with a reticulate, pitted or papillose testa. 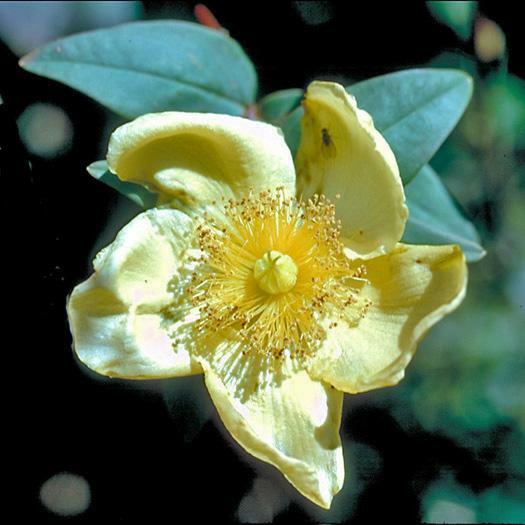 Hypericum amblyocalyx Coustur. & Gand. 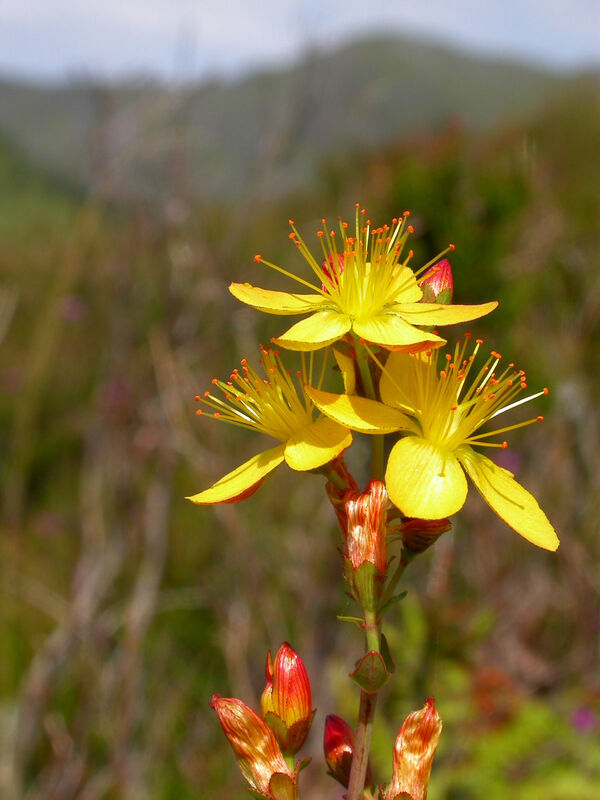 Hypericum arbuscula Standl. & Steyerm. 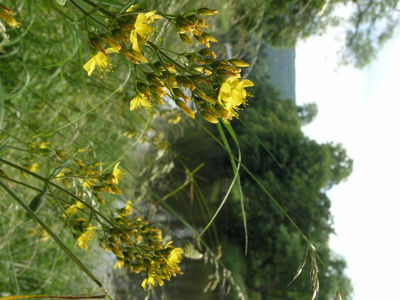 Hypericum asperuloides Czern. ex Turcz. Hypericum caespitosum Cham. & Schltdl. Hypericum calcicola Standl. & Steyerm. Hypericum campestre Cham. & Schltdl. 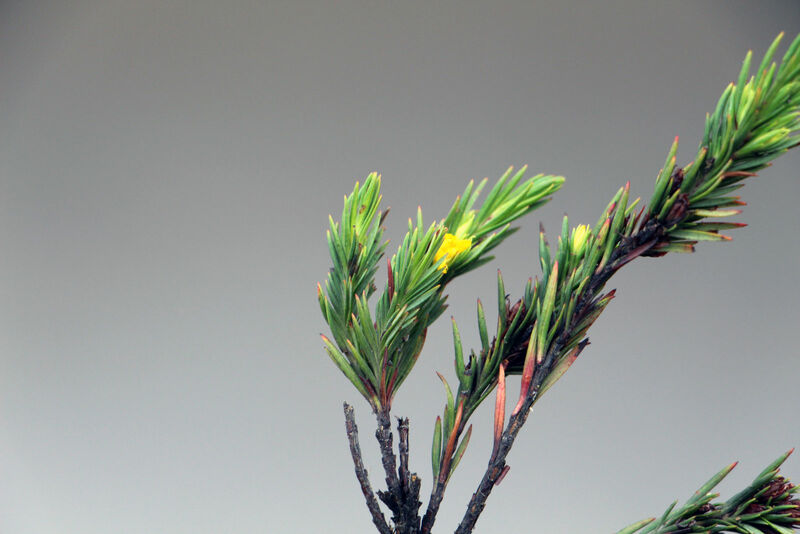 Hypericum caprifoliatum Cham. & Schltdl. Hypericum collinum Schltdl. & Cham. Hypericum delphicum Boiss. & Heldr. Hypericum elegans Stephan ex Willd. Hypericum elongatum Ledeb. ex Rchb. Hypericum fragile Heldr. & Sart. Hypericum gracilipes Stapf ex C.E.C.Fisch. Hypericum hakonense Franch. & Sav. Hypericum haplophylloides Halácsy & Bald. Hypericum hookerianum Wight & Arn. Hypericum myrianthum Cham. & Schltdl. Hypericum neurocalycinum Boiss. & Heldr. 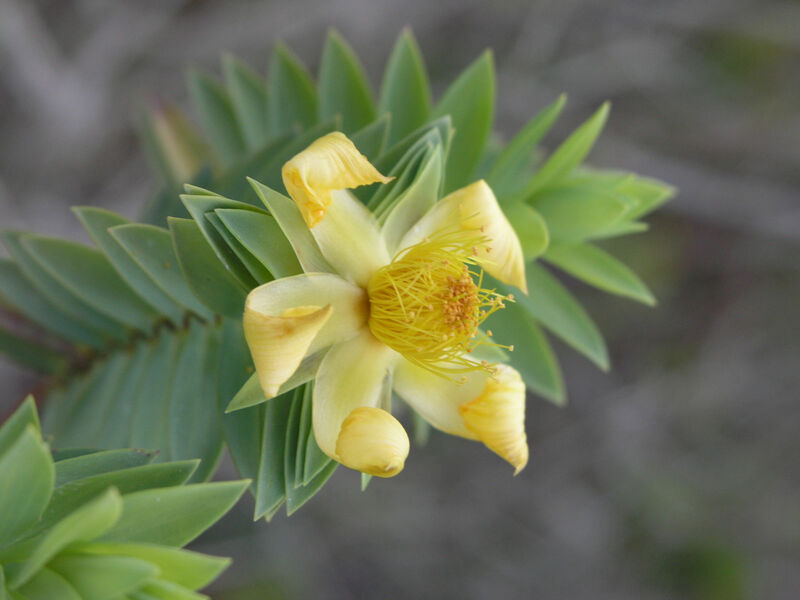 Hypericum oliganthum Franch. & Sav. Hypericum pachyphyllum Collett & Hemsl. Hypericum pallens Banks & Sol. Hypericum papillare Boiss. & Heldr. Hypericum philonotis Schltdl. & Cham. Hypericum pumilum Sessé & Moc. Hypericum roberti Coss. ex Batt. Hypericum roeperianum G.W.Schimp. ex A.Rich. Hypericum salsugineum N.Robson & Hub.-Mor. Hypericum saxifragum N.Robson & Hub.-Mor. Hypericum taygeteum Quézel & Contandr. Hypericum trichocaulon Boiss. & Heldr. Hypericum vermiculare Boiss. & Hausskn. Hypericum wightianum Wall. ex Wight & Arn. Gen. Pl. ed. 5: 341 (1754).